It sounds like the ‘lead in’ to a joke, but in reality you play all 3 roles in your practice most every day. 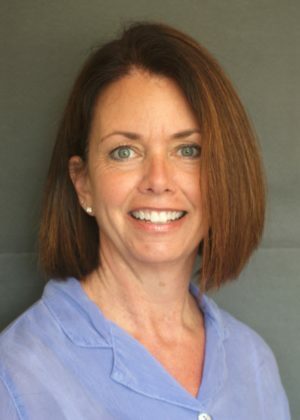 Sure…you might have 3 separate appointments…a lame puppy, another with a behavioral issue and another who requires pain management, but more common is that single case that requires you to understand animal behavior as you seek to find the source of discomfort and, then effectively treat it. You are wearing all 3 hats in a single appointment! Your star client’s fractious German Shepherd is lame. You’d love to be able to gain Hans’ trust to the point that he’ll reliably tell you where he painful….but you’d also like to survive the interaction and not elevate his level of anxiety in his future visits to your clinic. The art of the meaningful canine lameness exam (what Dr. Ross Palmer calls the “Tell me where it hurts exam”) is MUCH more than a checklist of orthopedic manipulations. 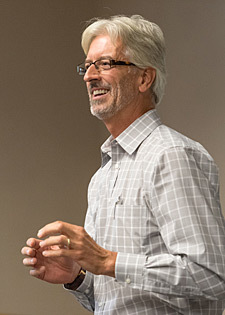 Come enjoy the intersection of perspectives of an orthopedist and a behaviorist as Dr. Terry Curtis offers her insights and tips and how this challenge might best be conquered (you can be sure that Dr. P will learn a thing or 2!). Dr. Tamara Grubb will share powerful strategies for pain management of both acute traumatic pain and chronic pain states resulting from osteoarthritis, cancer and more. Dogs don’t speak English; can we learn what they are saying? Common canine behavioral problems and their solutions? Rising amidst the spectacular beauty of the magnificent Red Rock formations surrounding Sedona, Arizona, the new Hilton Sedona Resort offers guests the opportunity to experience one of the most uniquely beautiful sites on earth. 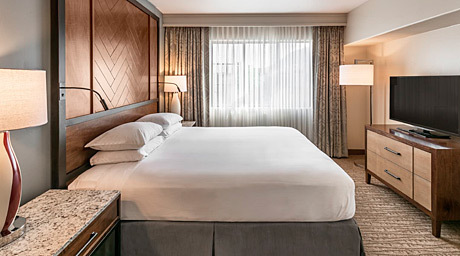 Ideally located just 100 minutes from Phoenix or two hours from the breath-taking south rim of the Grand Canyon, the Hilton Sedona Resort offers an array of first class resort amenities and services. 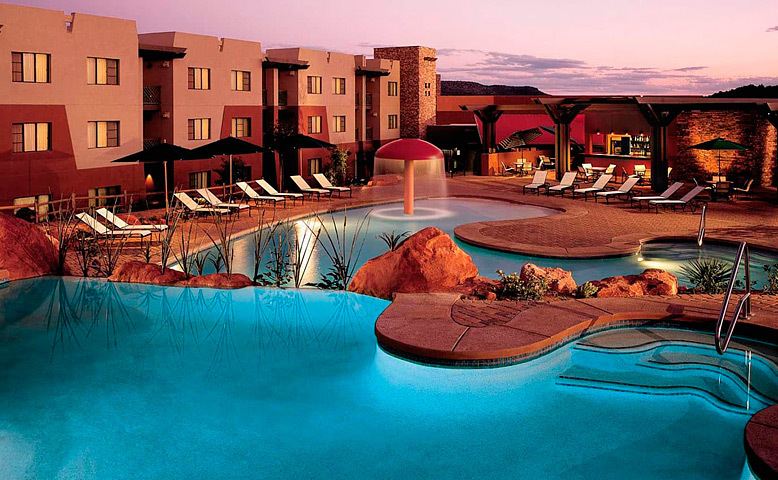 The Hilton Sedona Resort at Bell Rock is Sedona’s Luxury Resort located amidst the spectacular beauty of Northern Arizona’s Red Rock Country in the heart of Sedona. Our Guests enjoy stunning views of the majestic Red Rock formations surrounding the Hilton Sedona Resort – giving the Resort a feeling of a High Desert Lodge. Rates above are subject to local taxes & fees, currently 6.33%. 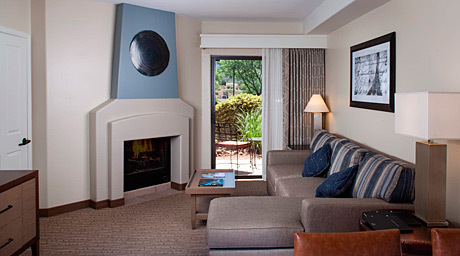 Resort Fee: A daily $20 plus tax , room charge offers you in-room wifi, access to the Hilton Spa with select discounts, unlimited local and 800 phone calls, 10% discount at the pro shop at the Sedona Golf Resort & free parking. There is a $20 per person/day plus tax-charge for 3rd & 4th adult in the room. Children under 18 yrs of age are free when staying in the same room as their parents. Porterage: $8.00 per person, round trip. Daily Maid Service: $2.00 per room, per day. Check-in is 4:00pm, check-out is 11:00am. All guests arriving before 4:00pm may be accommodated as rooms become available provided that such guests elect to pay an early arrival fee of $25. Hotel’s Front Desk can arrange to check baggage for those arriving early when rooms are unavailable and for guests attending the seminar on departure day. This can all be arranged on the day of arrival/departure with the hotel directly. You must cancel at least 14 days prior to your scheduled arrival date to avoid penalty charges. You will be charged for the complete stay if you cancel within 14 days of scheduled arrival. Sedona is one of Arizona’s premier tourism, recreation, resort and art centers. Its location at the mouth of scenic Oak Creek Canyon and at the center of the state’s famous Red Rock Country affords breathtaking panoramas, a mild climate and plenty of sunshine. The area is the second most visited site in Arizona after the Grand Canyon. 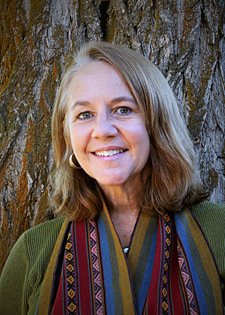 Established in 1902, the community was named for Sedona Schnebly, an early settler. Spreading across the central Arizona counties of Coconino and Yavapai, Sedona sits at an elevation of 4,500 feet (about 3,200 feet higher than Phoenix). Via Interstate 17, the town is 120 miles north of Phoenix and 30 miles south of Flagstaff. Sedona has something for everyone – world-class resorts, small family-run motels, bed & breakfasts, fine restaurants, diverse shops and art galleries. Other attractions include Bell Rock, Slide Rock and Red Rock State Parks, Chapel of the Holy Cross, the Sedona Arts Center and Tlaquepaque, a Mexican-style arts and crafts village. Highway 89A through Oak Creek has been named by Rand-McNally and others as one of the most beautiful drives in America. Visitor sites that are just a day trip away include the Grand Canyon, Jerome, Meteor Crater and Sunset Crater. As a Guest at The Hilton Sedona Golf Resort & Spa, you are just steps away from teeing it up on Sedona’s most popular Golf Course, the Sedona Golf Resort, an 18-Hole, Par-71 Championship Golf Course. This spectacular Championship Golf Course was designed by Gary Panks to blend this challenging Golf Course within the natural beauty of the Red Rocks of Sedona. The Sedona Golf Course at The Hilton Sedona Golf Resort & Spa has been named, “Top 10 New Public Golf Course” by Golf Magazine, “Best Par-3 Golf Course in the State” by the Arizona Republic, and “One of the 100 Most Women-Friendly Golf Courses in America” by Golf for Women Magazine. Golf Course elevations range from 3,960 feet to as much as 4,260 feet, offering players Elevated Tees, Raised Greens and challenging approach shots. Reserve a Tee Time please call: 928.284.4040 or Call Toll Free: 877.273.3762 or Email our Concierge. 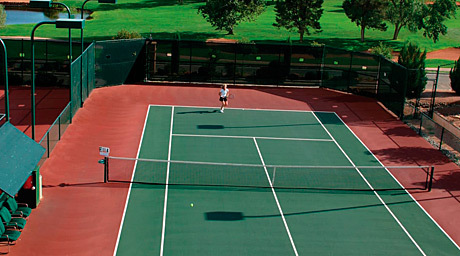 The Village of Oak Creek Country Club (‘VOCC’) Golf Course is less than 1 mile from the Hilton Sedona Resort and Spa. The VOCC Golf Course features a traditional Golf Course Layout similar to those you may find in the Midwestern United States. In the usual Trent Jones manner, the fairways are classic tree lined doglegs with fairway bunkers strategically placed in the landing areas, and the greens are all slightly elevated and surrounded with large swirling greenside bunkers. To reserve a Tee Time please call: 928-284-6935. There are limited rental agencies in Sedona, so we recommend that you rent a car in Phoenix or Flagstaff. The Grand Canyon is about a 2.5-hour drive north of Sedona.